Narrative: The Dover Police Department has identified the suspects in an assault captured on video that occurred on a Parkway Academy school bus on Tuesday afternoon. 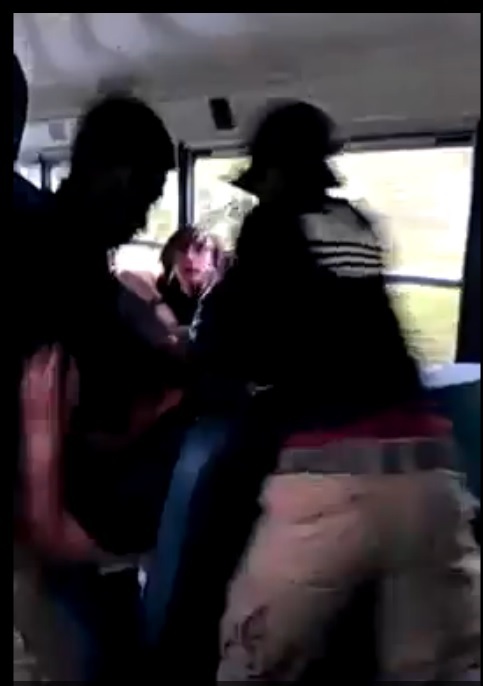 The video, which quickly went viral on social media sites, depicts four male juveniles assaulting a single 15-year-old male juvenile while traveling on a school bus. The juvenile victim did not suffer any serious injuries as a result of the assault. The Dover Police Department with the cooperation of the Parkway Academy was able to positively identify the suspects involved in the assault as well as the person who recorded the video. Each suspect will be charged with 3rd degree assault and 3rd degree conspiracy. The Dover Police Department will not release photos or addresses of the suspects because they are juveniles. “Parkway Academy-Central is deeply saddened and concerned by the recent incident that took place on Tuesday involving an act of violence by some of our students on one of our school buses. We have identified the students involved, have been in communication with all families, and have been working closely with both Dover police and local school districts to process appropriate disciplinary action and ensure that all of our students are safe. Currently, the school bus driver has been placed on administrative leave pending results of the investigation into this incident. As the highest performing alternative school in Delaware, Parkway Central has a proven track record of helping to successfully transform hundreds of at-risk youth to make better, more positive decisions.This includes working with a small student to staff ratio, strong disciplinary and restorative practices and evidenced-based counseling for all students. Our dedicated staff are committed to teaching, modeling, and holding youth accountable for their actions. The safety of our students is our absolute priority in addition to transforming their lives.